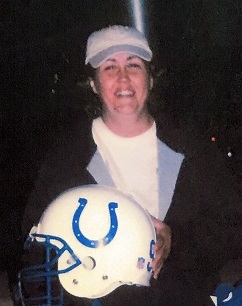 Tracy Michelle Ortmann, 49 of Morgantown, Kentucky passed away Sunday September 2, 2018 at the Medical Center in Bowling Green, Ky. Tracy was born December 14,1968 in Christian County Kentucky to Bro. Larry and Dale Dossett Cardwell who survives. She was a member of Mt.Union Missionary Baptist Church and a homemaker. Tracy Michelle Ortmann is survived by her husband Scott Ortman of Morgantown, KY; two sons Joey Phelps and wife Tonya of Morgantown, KY and Jarod Phelps and wife Misty of Morgantown, KY; three grandchildren Maddie Sowders, Landen and Charlie Phelps all of Morgantown, KY; parents Bro. Larry and Dale Cardwell of Morgantown, KY; two brothers Mark Cardwell and wife Cindy of Morgantown, KY and Steve Cardwell and wife Theresa of Hopkinsville, KY; four step grandchildren and several nieces and nephews.